Sean Matthew Wegener was born in Michigan. After moving to Texas in 2002, he was licensed into ministry at FBC McKinney. He has served as youth minister at FBC Flower Mound and FBC Bryan, and as Interim Pastor for College Heights Baptist Church. 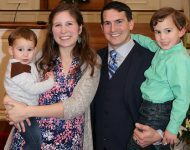 After receiving a degree from Southwestern Baptist Theological Seminary in Fort Worth (MDiv-Stewardship), he began work on a PhD-Systematic Theology at the same school (present). 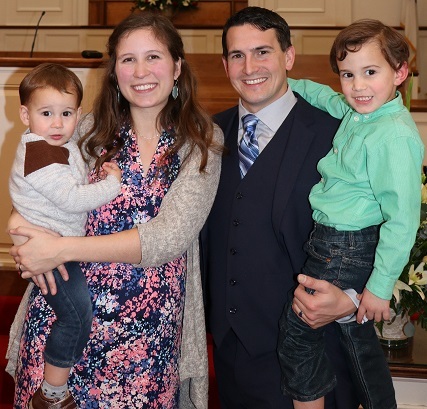 Sean felt the call into ministry after his baptism on Easter Sunday 2000. He began preaching in 2003 in Köthen, Germany and has since preached in South Africa, England, Poland, Mexico, Romania, and Malaysia. Sean has recently published two lessons in the Disciple6 material released from Southwestern in 2015 and presented a paper at the Southwestern region of ETS in 2017. He is currently working on completing his PhD, writing on the topic of holiness and sanctification. Sean currently resides in Summerville, Georgia, with his wife and two sons. Sean and Danielle are currently expecting their third child, due April 2018.